Discussion in 'Out of State Fishing Reports' started by shrimpmansteve, Aug 12, 2018.
a good friend of mine fished Nantucket this weekend for jumbo doormat fluke (summer flounder). 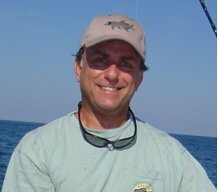 These trips are fantastic if you are addicted to jumbo summer flounder. He nailed his personal best and a fish of a lifetime! A 15 pound and change beast of a flatty. Congrats to my friend Joey z for nailing it. He puts in his time and couldn’t happen to a nicer guy. I will find out exactly what it was caught on and update. If I know him, light tackle and a jig tipped with a gulp grub. Tele Caster, mkyota1, Bossman and 1 other person like this. That's a beast of a flatty for sure, and if he was caught on light tackle it took a while to land him. Thanks for sharing, and tell him congrats. OMG... what a flounder! Must have taken a while to get that on board with light tackle. Very cool. Congrats to him. That's a serious flounder - Kudos to him. Closer to 16 pounds. Well the report is in. The fish was caught with a chicken rig (hi-low) with a ball jig for weight. Hooks were tipped with gulp swimming mullet bounced off the bottom while drifting. He dropped one which he thinks was bigger!! Awesome catch! Thanks for the report. We used to use that rig with squid strips or fluke belly strips when I lived up that way. Very effective. Up north, the stores sell spinner rigs for flounder but they didn't seem to catch as many as strips. I think that's cause folks didn't raise and lower the rod as much. Used to have a raise/lower cadence and you'd find out a fish had eaten your bait when you raised the rod. The fluke don't sit and chew on the bait like southern flounder do - they inhale it and fish on. The gulp swimming tails seem to have taken over for squid strips and catch a lot of fish. Minnows were hard to come by up there and not worth the effort of catching - we'd use small, live bluefish if they were around. Used to be that the bigger fish were deeper - we'd get them up to say 20 inches in close, but had to get in say 30 ft to get bigger say 4-5#+ fish in any numbers. Last time I fished em was probably about 95 - we would go out for the fall striper run and drift squid strips in like 10 ft of water - watch the fish come up and eat 'em. My BIL loved it. Think the size limit is 19-inches up there now. Buddy in NY said all they can get is 17 inch fish. Next year will either be awesome or some netter will get the fish on the offshore ledges where they winter. This is monster fluke season as they start to school up to move off shore. Now until the middle of September from Nantucket down to Martha's Vineyard, over to Block Island, across Block Island Sound to Montauk are the best spots in the world for record book fluke. The recognized world record is a bit over 22 pounds caught on the south side of Montauk near the light house. It was in the mid-70s and I had a house and boat in Montauk and was fishing the same drift that day as the guy who caught the world record fluke. No such luck for me that day but over the years I have had some real nice fluke to 16 pounds on that same drift -- the south side of Montauk from off of the trailer park (Frisbees) down to the light house on the incoming tide. That is a very nice sized Fluke! My personal best is probably only around six pounds in Long Island Sound off the CT coast! Very nice fish it should make some nice table fare! Nice catch, I love me some flounder. That's some good grocery's there. Now that's a door mat congrats . That's some good eating there.